it is the respond to today’s customers who wish for the comfort and luxury of a natural fibre with the influenced properties of man-made fibres. There are wide range of luxurious & silky sense viscose fabrics in plenty of colors and very good durability. Viscose Georgette is one of the main usable fabrics all around the world nowadays. The various types of usage of viscose georgette fabrics make it a predictable fabric of the article of clothing in industry. They are in 100% Viscose composition in various forms and counts in a wide range of GSM. Viscose chiffon is an another variety of chiffon, collection of 100% viscose also identified as Japan 30×30, which includes an aspect of be hand dyed and dip dyed, for single coloring effects and more mixtures in the garment. 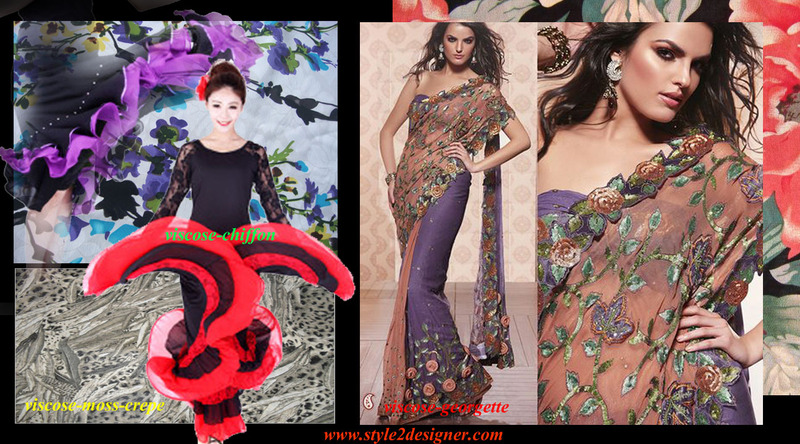 Its additional silkiness and fragility because of viscose, provides an added comfort for all types of fashion outfits. Moss crepe is the most utilized textile material in the world today. They are in 100% viscose moss fabric in a range of structure and counts in big choices of GSM. nice informational article , thanks.